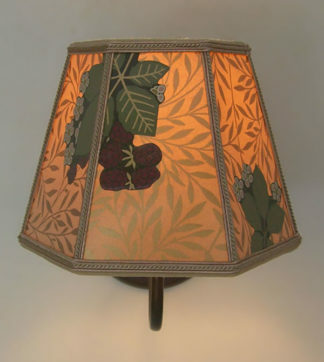 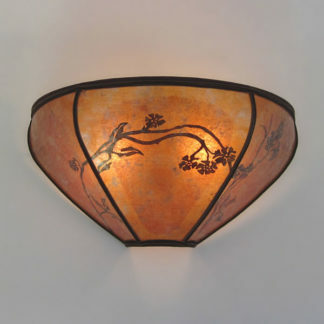 A beautiful curved amber mica wall sconce with a floral design adapted from an elegant table lamp in our antique Heintz Art Metal lamp collection. 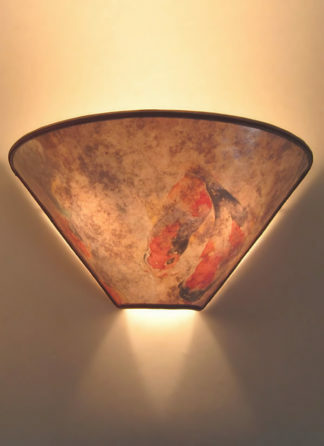 In the same way that the craftsmen working at the Heintz metal shop adapted their designs for use in the many useful articles they produced so we also adapt and vary designs for use with an antique metal lamp a ceiling light or a mica sconce light as needed. 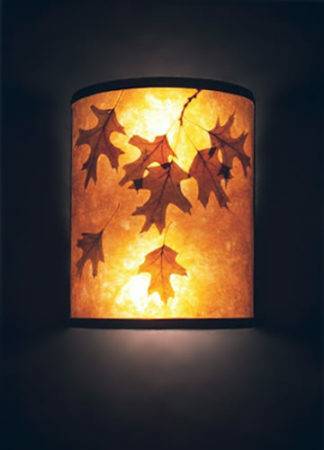 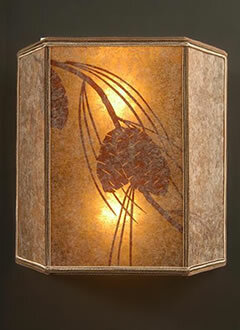 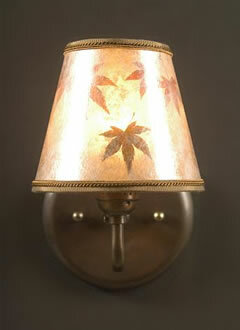 This sconce is hardwired for use with 2 small format 60 watt bulbs max.